In Atlanta, like other cities, from March until the end of April, we are faced with one of the most debilitating repertory inhibitors: Pollen. 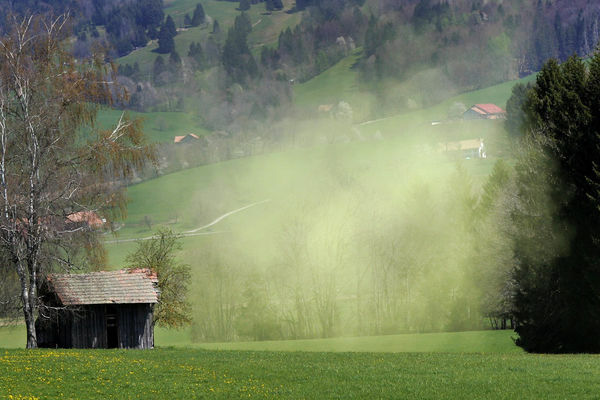 The pollen begins to fall, from everywhere, like a light snow, covering everything with yellow dust. While many of us celebrate the arrival of spring, many more suffer from the onslaught of a seemingly useless enemy. Like the pollen in our area that can rob us of appreciation for the upcoming summer months, useless tasks, activates and events can rob us of productivity in our businesses. This is not to say that we, as business leaders, should not do the things that we enjoy. Rather, it says that out time is limited, therefore, we should consider why we do certain things. For example, if you are a member of a networking group, and you’ve decided that this networking group is one that you want to grow your business through, how are you measuring the amount of time you’ve spent versus the amount of “success” you are getting from the group. How do you know when you might need to rethink about your participation in the group. The “why” should be tagged to results. I’ve known of people who have attended networking groups for years, pay their dues and show up each week, only to realize that the group is not netting them anything. I’ve known of people setting up useless coffees and other sorts of meetings that were about as productive as pollen. These are time wasters – thieves of our productivity! As business leaders, we must guard our time. It is one resource we have that is constantly at odds with our ability to get things done. Ever here someone say, “I wish there were a few more hours in the day.” Perhaps in a well-managed day, there are. Studies have shown that it takes about 15-20 minutes for most people to get settled into an activity. Therefore, with every distraction, we are losing up to twenty minutes of the workday. It only takes 3 distractions throughout the day to lose an entire hour. Six distractions takes about a quarter of your day. In a chaotic environment, you will be seriously challenged to get much done. Low productivity results in missed opportunities, lost revenues and the general feeling of being overwhelmed. If you are constantly rushing to get things done, you will have the added challenge of not doing your best work and having to pay people to do the things that you should have been doing from the beginning. It is, indeed, a vicious cycle. Be extraordinary. Guard your time. You are building an extraordinary business. Getting out from under the dandruff that will result in the early retirement of your business.